Sacal has once again made an agreement with Ryanair to fly directly from London to Lamezia starting in March 2011. Flights and now bookable through their website from only €60 return. Other direct flights in 2011 will be Bergamo, Pisa, Bologna, Trapani, London, Dusseldorf, Brussels, Barcelona and Frankfurt, adding from the already large amount of routes available to access Lamezia. This is good news and increases in the ease of access to this region of southern Italy. Lamezia airport in the Southern Italian region of Calabria has released strong passenger growth figures of 16.2% in 2010, the highest increase anywhere in Italy! With Ryanair increasing its flights to Lamezia airport in 2011, the airport is expecting a further 2 million more travelers in 2011. 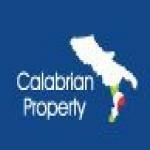 This shows the continued strong growth for Calabria.